So. We recently received an interesting email intimating an opinion how we are an unoriginal bunch of frauds with a weird name. Here, we thought we’d scour the internet and copy & paste some insights to pass off as our own. So. We recently received an interesting email intimating an opinion how we are an unoriginal bunch of frauds with a weird name. In response, we thought we’d scour the internet and copy & paste some insights to pass off as our own on a public forum. Imitation and copying. Before you cover your exercise book with your hand, let’s explore the difference. Thanks to the internets, we’ve mined a few definitions that relate to the protection of creative work. Patents, copyright and trademark are protected legally and fall under the realm of intellectual property – the rights of ownership over mental creations (intangible assets covering ideas). “Copyright is a form of intellectual property right which creates, for the owner of the copyright, propriety rights in the things they have created. Further rights in things which have been created can be created by creating a trademark and registering it. This process affords more rights to a person who is in a situation where what they have created is used and disseminated into the public domain by an unauthorised person. In most African countries, IP is protected by the law of Passing Off, which refers to “Making some false representation likely to induce a person to believe that the goods or services are those of another.” The law of passing off, protects the intellectual property rights a person has in their creation where another person seeks to exploit a similarity between that creation and another creation. But passing off, while providing some protection for intellectual property, refers to only to Trademark infringement (the unauthorized use of a trademark or service mark on competing or related goods and services). The success of a lawsuit to stop the infringement turns on whether the defendant’s use causes a likelihood of confusion in the average consumer. Consumer confusion is what makes or breaks the argument. 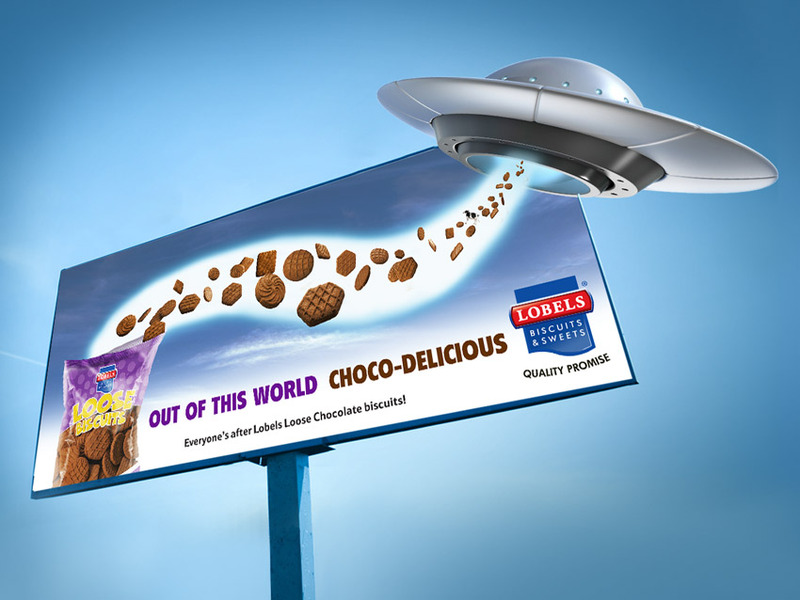 If we use a spaceship to advertise Zimbabwe’s first chocolate loose biscuit, have we infringed (or copied the creative idea) of other brands who have used space invasion? Essentially no. We never claimed to have invented the idea of alien invasion. Crowd intelligence (shared or group intelligence that emerges from the collaboration, collective efforts, and competition of many individuals and appears in consensus decision making) dictates that exposure to stimulus will reap physical manifestation, where shared ideas become part of the public domain. If two people have been exposed to the same idea, they may take it away and apply it in different channels or contexts. 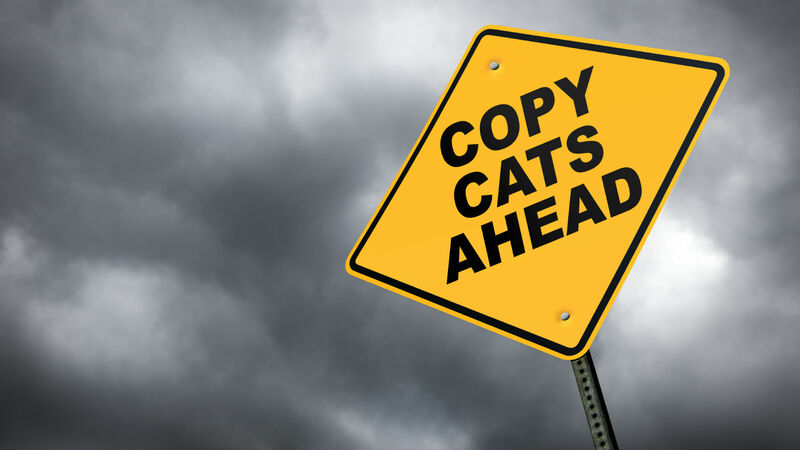 Concurrence and correspondence in events or circumstances in creative work doesn’t translate to copying, it translates to interpretation, unless the intent was to confuse and trick the consumer into a new brand preference. We’re not selling alien abduction here. We’re using the original idea of an alien race’s demand for this specific product to sell the idea that these biscuits have an out of this world chocolate taste. Coincidental similarities do occur. Take for instance the films The Illusionist and The Prestige. The story lines are both about magic and magicians. They can be called independently similar though, as the message lands in a different way even though the creative concept may be similar. Often imitation develops when giants go comparative in their advertising e.g. Samsung and Apple, Nike and Adidas, Chicken Slice and Chicken Inn – the success of the message then comes only if both do it in a way that is ‘unquestionably authentic’. “Imitation is central to advertising. Many of our desires (more than we are usually willing to admit) are borrowed from the people we admire. The more admirable we find a particular person, the more vehemently we imitate them and their desires. Advertising is the business of directing imitation for the purpose of generating business cash flows. Look, we are not trying to invent the wheel, nor would we have claimed to do so should we have used a wheel in an advert. But we are trying to create iconic brand work that brings returns to the client and resonate within the market. Wow people, win loyal customers, that sort of thing. If it lands as coincidentally similar, so be it. If we are found in the wrong by the A.S.A, we’ll take it. Either way, we own it. Weird name and all.